Refrigerator and blinds INCLUDED! You'll enjoy the carefree living in this brand-new community for age 55 and older! 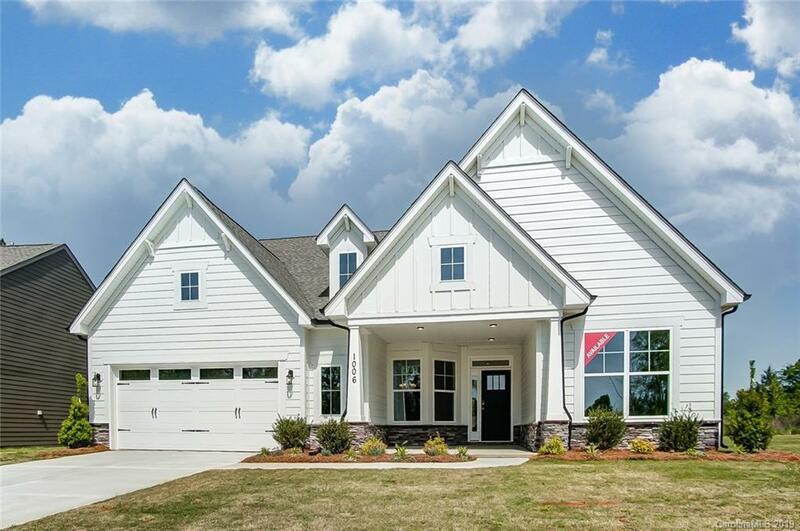 This beautiful Edgefield ranch-style plan has more than 2,600 square feet of first-floor living space. The home is accented with tray ceilings in the foyer, dining room, and master bedroom. The designer kitchen includes white cabinets, granite countertops, a gas cooktop, and double wall oven. The open family room leads to a corner, covered rear patio. You can also enter the patio from the study. The master suite has a spacious walk-in closet that also has a pass-through to the laundry room. A drop zone off the garage gives you space to unload before entering the main living area. Two secondary bedrooms, a full bath, and powder room complete the home. Smart Home features included in this home are a doorbell camera, front door lock and thermostat with remote access, four zones of light controls, Wi-Fi Hub, and voice-controlled audio device. Come visit today!